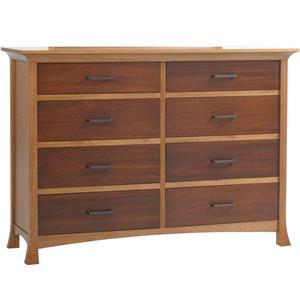 This immaculate dresser features the finest elements of design. 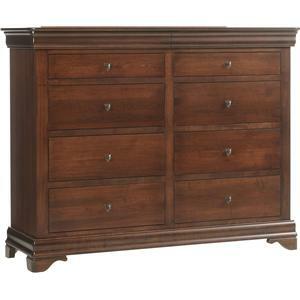 Crafted from quality hardwoods, this dresser's case boasts fluted pilasters and unique molding. 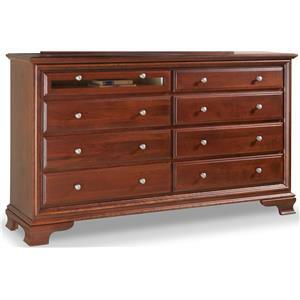 Its eight drawers are decoratively adorned with fine pull hardware. They are divided into two side by side sets of four. 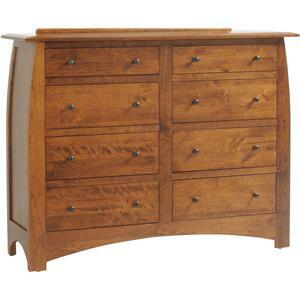 Held aloft by finely turned feet, this elegant dresser is sure to be a welcome addition to any bedroom. 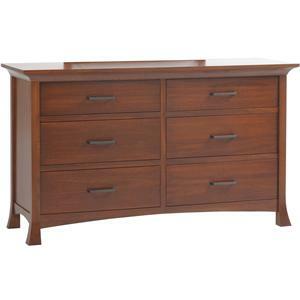 The Fur Elise High Dresser with 8 Drawers by Millcraft at Saugerties Furniture Mart in the Poughkeepsie, Kingston, and Albany, New York area. Product availability may vary. Contact us for the most current availability on this product. 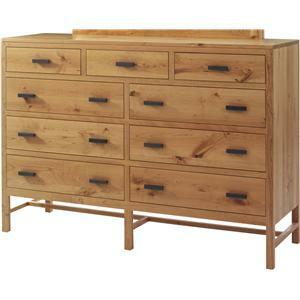 Finish Multi-Step Method in which pieces are handsanded, and stain is thoroughly kneaded into every grain and detail. Following the stain, a sealer is applied and cured, then gently grazed with scuffing pads to enhance the bonding of the final coat of varnish. Finish & Paint Options Hardwood options include red oak, cherry, and brown maple. Drawer Suspension Full extension undermount ball-bearing slides. 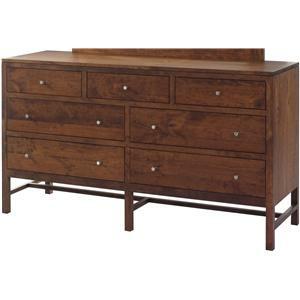 Customizable Options Custom options include hardware and hardwood choices to create a look perfect for you and your home. Case Construction Handcrafted from the finest solid hardwood. 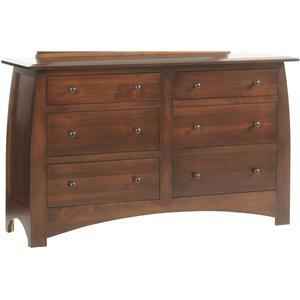 Browse other items in the Fur Elise collection from Saugerties Furniture Mart in the Poughkeepsie, Kingston, and Albany, New York area.